thenmalai is a village in rajapalayam taluk of of south western tamir nadu which is blessed to have shiva-paripoorani sametha thripura naathar shivan temple. a beautiful shiva temple adorns the village along with a hill top murugan temple. 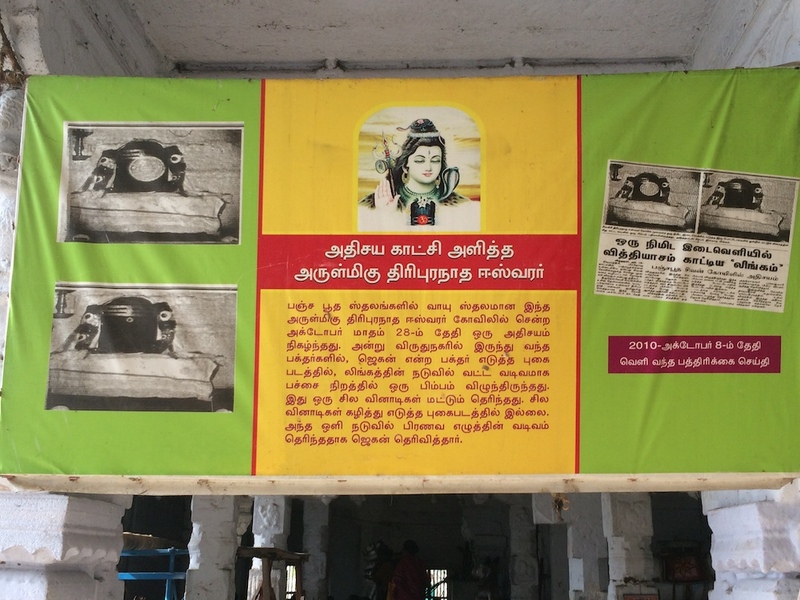 it is the vayu-sthalam of the local pancha boodha legend involving sankaran kovil , karivalam vandha nallur , dheva dhaanam and tharukaapuram. on the night of october 28 , 2017 , a miracle happened which was captured on camera. a photograph taken by a devotee showed a green glowing light on the lord with the pranava mantram om in it. a few seconds later when he took another picture it wasnt there.